Base price of the G150 was 13,5 million US-Dollars in 2005, after 12,5 million US-Dollars in 2002. Development partner IAI is said to have invested 80 million US-Dollars in the programme. 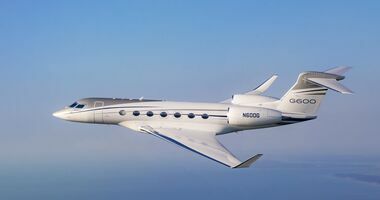 In 2006, Gulfstream claimed direct operating costs, excluding fuel, of 580 US-Dollars an hour. At the NBAA Convention in Orlando in September 2002, NetJets announced an order for 50 aircraft plus 50 options. The deal includes a multi-year support agreement and has a potential value of 1,5 billion US-Dollars. Early in 2005 it was said that production of 15 G150 was planned for 2006 and at least 24 in 2007. 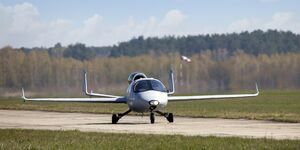 The G150 was developed in cooperation with revenue-sharing partner Israel Aircraft Industries. It is based on the slow-selling G100 (Astra SPX), which it replaced on the production line from 2006. To address customer preferences, Gulfstream has decided to build a completely new fuselage which gives a much larger cabin (30 cm more width, 5 cm more height) with bigger windows. The nose is also changed, while most systems will be taken from the G100. A Rockwell Collins Pro Line 21 avionics system with four 30 x 25 cm LCDs is fitted. Also included is Gulfstream's signature Cursor Control Device (CCD). The wing stays the same, but there is a new wing/body fairing. The G150 is IAI´s first all-digital design, with all parts down to rivets modelled on Unigraphics development software. The airframe is assembled in Israel, with parts subcontracted to companies like Denel in South Africa (tail section) and Sonaca MMF Canada (wing skins). Completion is done in Dallas, Texas. Initial manufacturing of the G150 is completed in Tel Aviv, then the aircraft are flown to Gulfstream's Dallas facility for the final phase of manufacturing and outfitting. 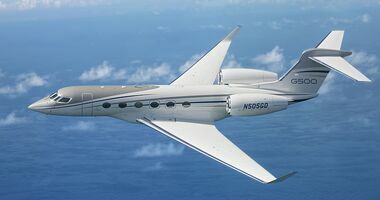 The Gulfstream G150 was announced prior to the opening of the NBAA Convention in Orlando on Sunday evening, 8 September 2002. 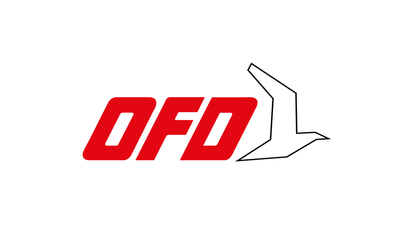 At that time, the aircraft was in the preliminary design phase. NetJets ordered 50 of the G150s plus 50 options at the NBAA on September 10. First deliveries were then scheduled for the second quarter of 2005. 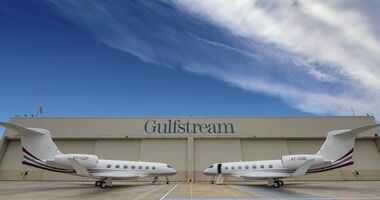 In April 2003 it transpired that Gulfstream will delay the programme, due to the depressed state of business jet orders. 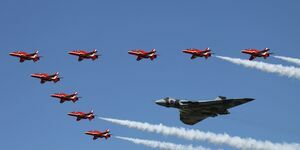 The first flight was planned for May 2005, six months later than previously scheduled. Certification will slip nine months to January 2006 and first deliveries about a year to August 2006, it was said. Assembly of the first G150 began in July 2004, with fuselage join completed in December. On 18 January 2005, the first G150 was rolled out at the IAI factory in Tel Aviv. 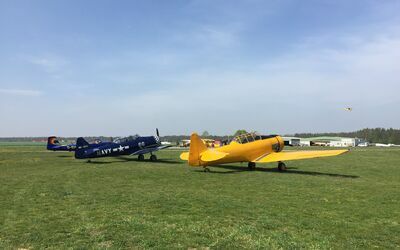 At that time, a first flight was predicted for mid-May. Two aircraft were scheduled for a 235 h flight test programme leading to Israeli and US certification in the first quarter of 2006. There is also a static test article. First deliveries should follow in August 2006. On 3 May 2005, the Gulfstream G150 successfully completed its first flight. 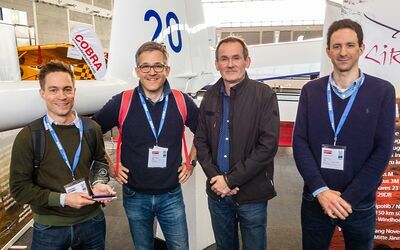 Flown by IAI chief test pilot Ronen Shapira and G150 project test pilot Yoram Geva, the G150 took off from Ben Gurion International Airport in Tel Avis at 10:25 a.m. local time. 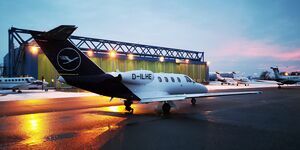 During the flight, which lasted 4 hours, 13 minutes, the pilots tested the business jet's flight handling qualities and characteristics, performed initial checks of all aircraft systems and cycled the landing gear and flap/slat system. The airplane was flown to 20,000 feet and achieved a maximum speed of 250 knots. Chief Test Pilot Shapira commented that the flight went “very smoothly with no issues noted.” IAI's Flight Telemetry System enabled IAI and Gulfstream flight-test engineers on the ground to monitor on a real-time basis all of the G150 aircraft systems during the flight as well as record the data from the first flight test point. 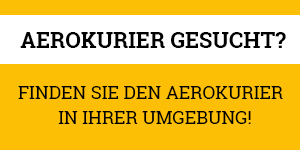 On 14 June it was announced that the G150 had completed all company flight tests. The flight envelope had been completely opened – reaching maximum altitude of 45,000 feet and a maximum speed of 0.882 Mach. The second production G150 aircraft, serial number 202, completed its first flight on 2 September 2005 in Tel Aviv, flying 5 hours, 30 minutes. During the flight, all aircraft systems were cycled and the test aircraft reached a maximum altitude of 45,000 feet and flew at a maximum speed of Mach 0.865. By that time, the first G150 flight-test aircraft, serial number 201, had flown some 70 flights, accumulating more than 250 flight hours. 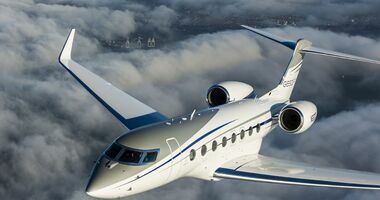 The Gulfstream G150 was certified on November 7, 2005 by the Civil Aviation Administration of Israel (CAAI) and the Federal Aviation Administration (FAA), at least 10 weeks ahead of the previously announced first quarter 2006 certification date. The G150's maximum range had proven better than originally projected. 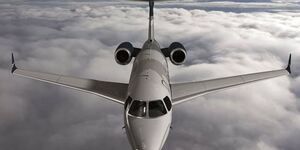 The concerted effort between Gulfstream and IAI's engineering team to reduce aircraft drag increased the G150's range by 250 nautical miles to 2,950. The G150's required balanced field length also is better than first projected. The two aircraft that comprise the G150 flight-test fleet flew a combined 475 flight hours, averaging 3.6 hours per flight. It was expected that the G150 would enter service in the third quarter of 2006. On 14 August 2006, Gulfstream Aerospace held an entry-into-service ceremony for the G150 at its Dallas facility. 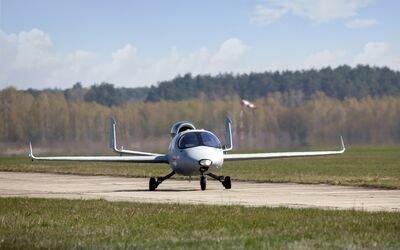 The first aircraft is leased back from the customer to be used as a company demonstrator for the time being.